By Donna Sage, MSSA, Well Being Journal, Vol. 26, No. 6. Inflammation of the nervous system can have many causes, including traumatic brain injury and neurodegenerative conditions such as Alzheimer’s disease, Parkinson’s disease, multiple sclerosis, and seizures. Cannabidiol, or CBD, is a cannabinoid derived from the cannabis plant (commonly known as marijuana) that has been found to be effective in reducing nervous system inflammation. CBD also appears to be effective in reducing or eliminating seizures and tremors, shrinking cancer tumors, supporting cardiovascular health, and reducing or eliminating pain and headaches of all kinds. CBD is safe and natural, and at the cost of less than one dollar per day, it is becoming a go-to medicine for people of all ages. CBD isolate does not produce euphoria, or the “high” associated with marijuana, and it is non-toxic. It is synergistic with tetrahydrocannabinol (THC), which can produce euphoria, but CBD will often produce significant benefits when used alone. When I was looking for solutions for my daughter’s and mother-in-law’s suffering, the information on CBD was so difficult to find, so overwhelming, and so taboo that I almost gave up my search. Then I came across a website called the Realm of Caring (RoC) at https://www.theroc.us. RoC is a non-profit organization committed to cannabis research. It offers a sophisticated array of cannabis resources, education, and advocacy for cannabis treatment. The organization empowers consumers to make educated choices in healthcare, spreads the truth about cannabis, and expands access to cannabis to those in need. My daughter, Ashley, suffered two separate concussions. She received treatment for them over a period of three years by four different medical specialists. After endless suffering and many toxic and expensive pharmaceutical treatments, Ashley’s “green parachute” to relief and recovery turned out to be cannabis. Before we found cannabis, we tried everything that conventional medicine had to offer, and none of the treatments relieved my daughter’s debilitating headaches. REAP: Remove/reduce physical, cognitive, and mental demands (i.e., rest); educate others of symptoms; accommodate academically; pace activity. This approach yielded six months of intense pain and suffering, with no improvement in Ashley’s condition. Prescription drugs: This approach proved to be expensive, toxic, and completely ineffective. 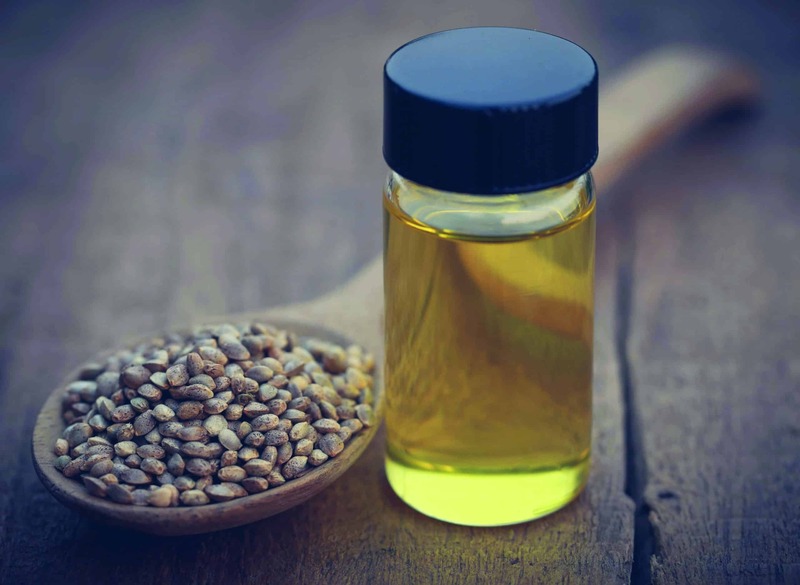 Cannabidiol: This approach proved to be non-toxic, and it relieved Ashley’s incapacitating headaches within thirty minutes-at a cost of less than one dollar per day. We eventually supplemented the CBD with THC to obtain more comprehensive relief of our daughter’s concussion symptoms. Chiropractic: We mostly used the Activator Method, PulStar therapy, and dry needling therapy to avoid further head trauma. Vestibular Physical Therapy (with cardiovascular challenges): This method did not reduce Ashley’s headache pain, but it was helpful in restoring greater body movement and in improving her eye-hand coordination and balance. Cranial Release Technique (CRT): This treatment released the traumatized fascia inside Ashley’s skull and created space for her cerebrospinal fluid to move freely, thereby promoting healing. Her facial symmetry was restored, and I noticed a significant improvement in her disposition and emotional state. Vision assessments: Ashley wore glasses before her concussions and still does. Both an ophthalmologist and an optometrist examined her, and it was determined that she does not have vision-related headaches. Eye Movement Desensitization and Reprocessing (EMDR): This physiotherapy treatment was implemented for six months. Massage and acupressure: These treatments were aimed at relieving whiplash and promoting relaxation and energy flow. Supplements: Ashley took turmeric, omega-3, vitamin Bs, N-acetyl cysteine (NAC), magnesium, vitamin E, Co-enzyme Q10, L-carnitine, grape seed extract, and ginkgo biloba. Other modalities: She tried breathing and relaxation exercises, visualizations, and therapeutic as well as relaxation massage. Hydration: We ensured she received consistent and optimal hydration. Over a two-year period, multiple doctors recommended antidepressants. They were not optimistic that the drugs would reduce Ashley’s pain, but they pointed out that it was a cheap and easy treatment to try. We refused them each time. Here is why each time, for the following reasons. Yes, Ashley was probably depressed; after all, she had lost her identity as an athlete and a scholar. However, antidepressants would have been ineffective in healing her traumatic brain injury, and we were justifiably concerned about the risk of suicide. We also knew parents who had given their teenaged concussion sufferers antidepressants and then slowly watched their children lose their “spark” and become angry, self-harming, and withdrawn-while at the same time obtaining zero pain relief. We also refused Botox injections, as Ashley’s pain was not induced by tension. Zomig: This is a migraine medicine. Promethazine: Ashley tried this antipsychotic drug for a few days without benefit. We chose to discontinue it because of the potential for severe side effects. Cambia: This is a non-steroidal anti-inflammatory drug (NSAID) that is prescribed for migraine headaches. It retails for $454.89 per dose, but we were desperate enough to purchase a few doses. Ashley used it twice, and both times it brought a pain spike of 7 back down to the baseline of 5. However, this drug can be used only two times a week because of risks associated with serious liver toxicity. Propranolol: This drug showed some initial promise by decreasing Ashley’s anxiety, primarily by lowering her already low blood pressure. However, after a few days, she became highly agitated and her headache pain actually increased. At one point, Ashley was hospitalized so she could be given an intravenous (IV) cocktail of Depakote (an anti-seizure medicine), Toradol (an NSAID), and diphenhydramine (Benadryl used as an anti-seizure medicine) in an attempt to “reboot” her brain. This decision was an aggressive and desperate attempt to get Ashley’s headaches under control. It did not work. In fact, after she regained consciousness, her headache was worse. Her doctor recommended that we give the IV treatment a second try. We declined. We also declined oral doses of Depakote because of its ineffectiveness in the more aggressive IV regimen. I believe that all of the doctors we consulted were acting in good faith and doing what they were trained to do. They used all of the resources at their command in their attempts to help Ashley. Unfortunately, multiple trips to doctors, the procedures, and the pharmaceutical drugs were creating even more stress on her delicate system. As parents, my husband, Alan, and I felt hopeless and resigned. I could tell how Ashley felt just by looking at her, so I stopped asking. Her inner light was dim and foggy. She was always edgy, and she was quick to anger. The life that Ashley once had as an honor student and competitive athlete was gone. I was watching my daughter disappear, and it broke my heart. Alan and I spent hours on the internet searching for alternative treatment options that our medical professionals, to whom we had already devoted so much time and money, had not offered. One day Alan stumbled across an article about the possible benefits of marijuana for football players managing head injuries. This was the only new lead that we had, so I pursued it relentlessly. My research led me to believe that Ashley should try CBD, which was easy for us to obtain here in Colorado. Once we received the CBD, I gave Ashley a dose of about 20 mg. Thirty minutes later I heard the sweetest words I could imagine: “Mom! Mom! My headache is gone, like I mean really gone!” Ashley was experiencing relief from her acute headache for the first time in months. Her emerald green eyes were clear and bright, and she was smiling. I had not seen that smile in a very long time. Her relief was palpable…. To read the full article, please see the November/December 2017 Issue (available in print or digital format).